Gallery hours vary with each exhibition. El Museo de Los Sures and the Southside United HDFC-Los Sures hydroponic farm, are supported, in part, by Con Edison. 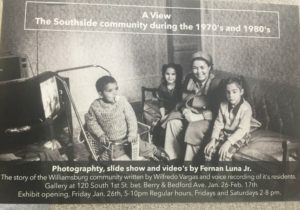 Fernan Luna Jr.: A View of the Southside Community during the 1970’s and 1980’s, currently running from January 26, 2018 through February 17. 2018. Cheon Pyo Lee: Alibi of Autonomy, ran from October 12, 2017- January 17, 2018. Last Glimpse of Los Sures by James McCracken ran from August 14-September 11. For over 40 years, Southside United HDFC (Los Sures) has witnessed dynamic changes in South Williamsburg. As the area undergoes gentrification and demand for housing rises, rent costs have increased significantly- more than doubling in the past few years alone. Although many long-term residents have been displaced, others continue to proudly form part of this thriving neighborhood. 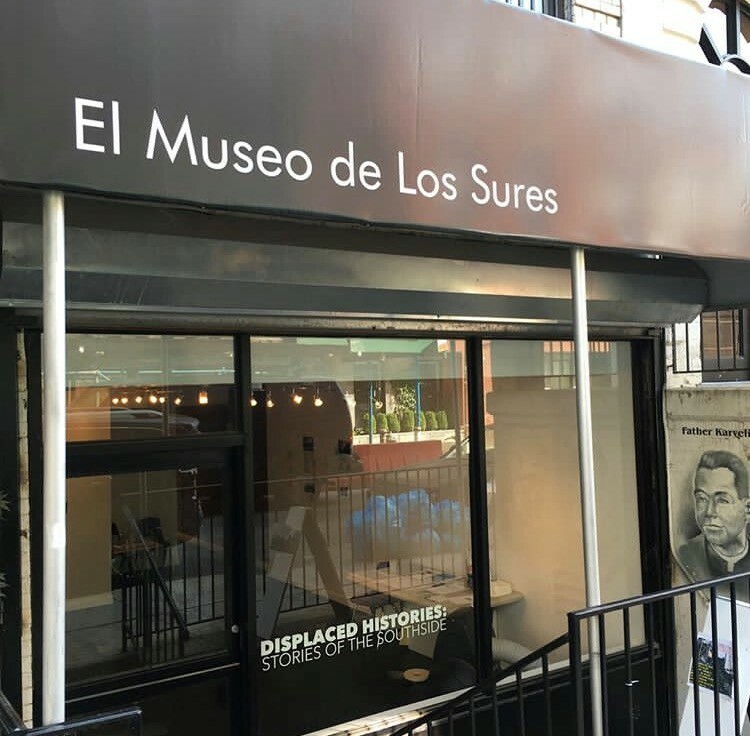 El Museo de Los Sures was founded to preserve the history of the neighborhood’s residents. Please note that the museum currently does not provide grants nor stipends for exhibitions. For inquiries on how to get your exhibition up please call 718-387-3600. © Copyright 2015 Southside United HDFC . All Rights Reserved.